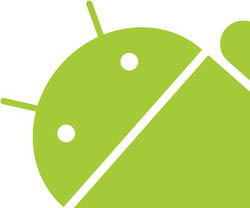 According to Nielson, in the second quarter of 2013, 52% of smartphones in the US run on the Android operating system. With such a large portion of the market using Android systems, it fair to say that publishers must have Android systems in mind when creating digital publications. How can a publisher create publications that can be viewed on PC, Mac, Android phones, tablets and Apple mobile devices? The answer is 3D Issue software. When a publication is created using the 3D Issue software and built online, the publication will output in both Flash and HTML5 to the one URL. If a reader accesses the publication using a PC or Mac computer, the publication will open up in the Flash version. If a reader opens the publication using a mobile device, it will open in the HTML5 version. This ensures that the publication can be viewed across browsers and devices. With the Pro and Enterprise versions of 3D Issue, there is also the option for the publisher to add the both an Android (Google Play Store) App and iOS (Apple Store App) to their publication. If a reader accesses a publication where the App has been enabled for Android devices, they will be given the message “would you like to view this in the Android App?” If they click Okay, they will be brought to the Google Play Store where they can download the 3D Issue FlipBook Viewer App. When the App is installed they can download the publication to their App for offline viewing.